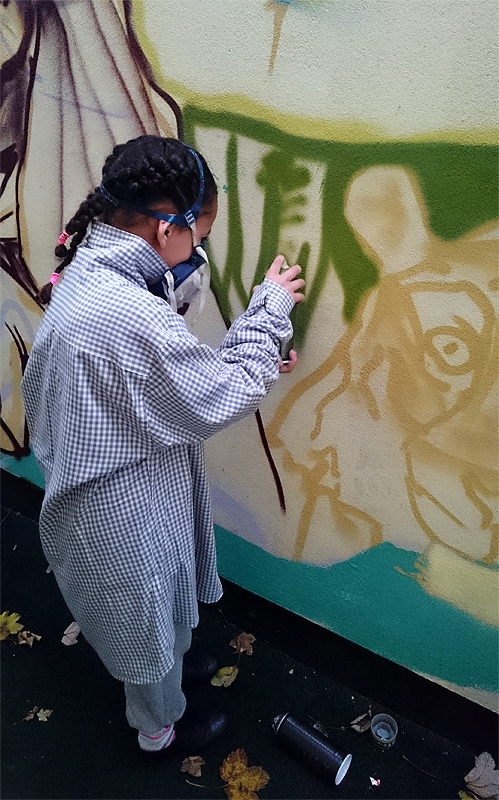 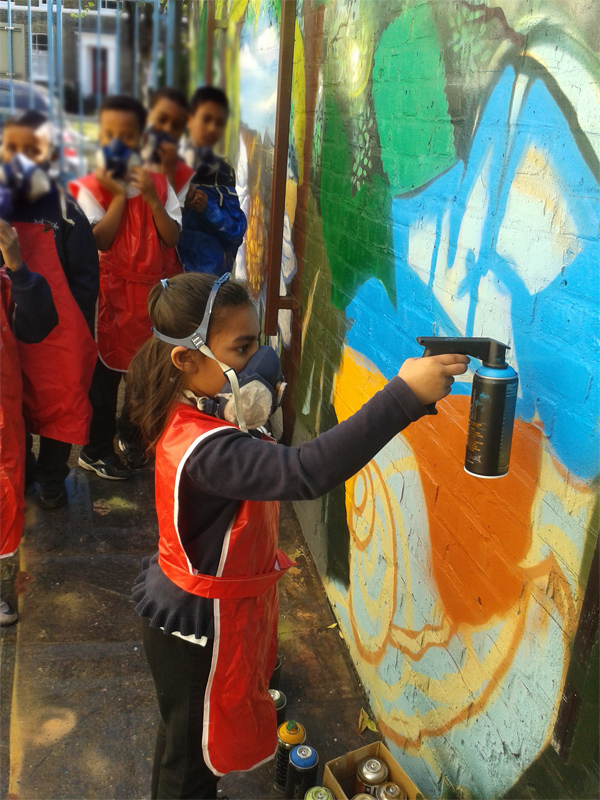 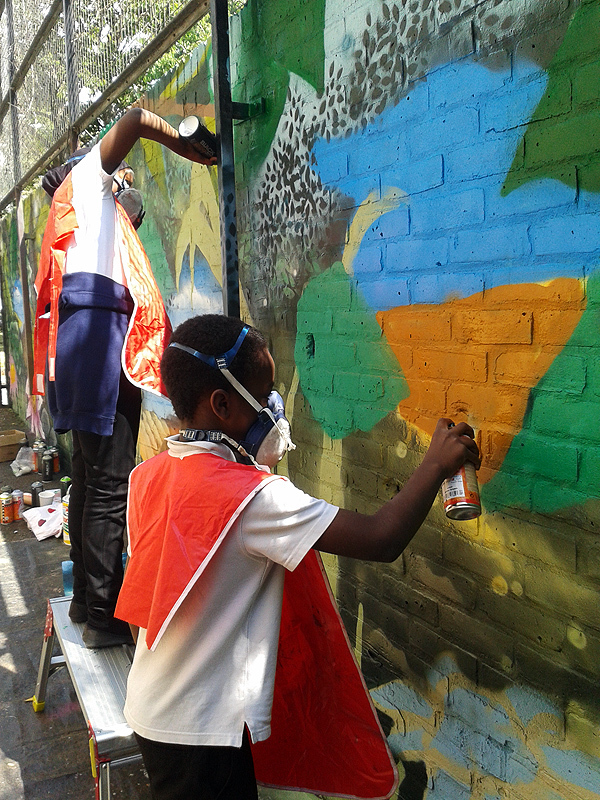 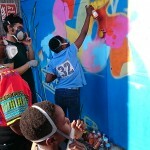 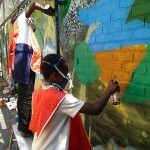 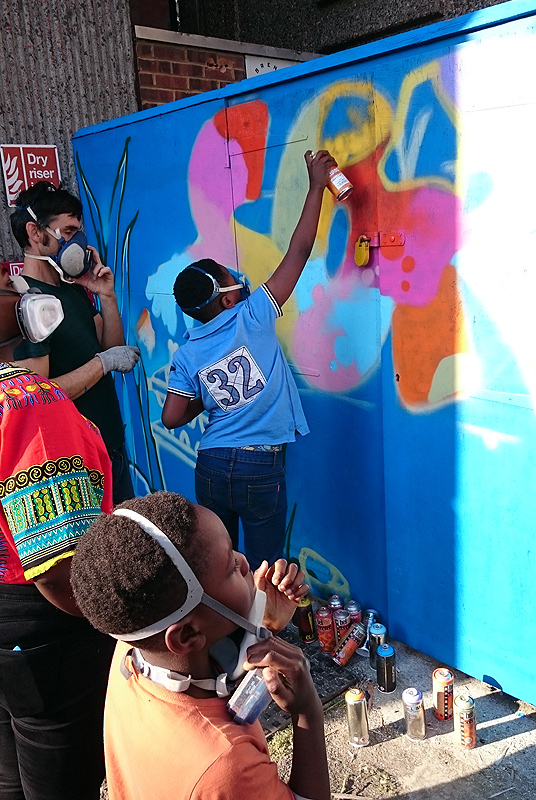 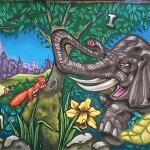 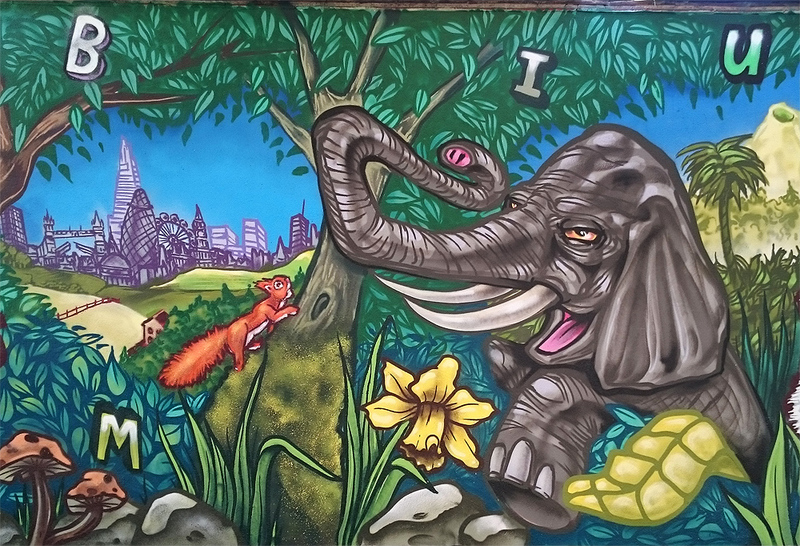 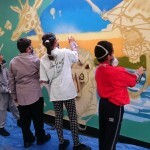 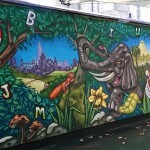 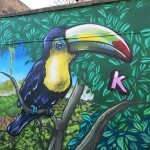 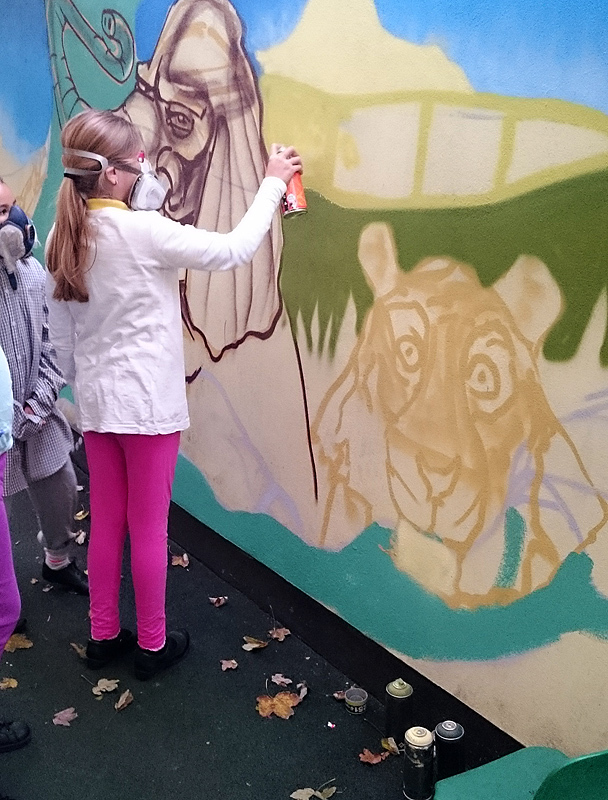 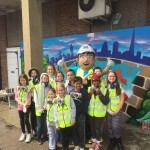 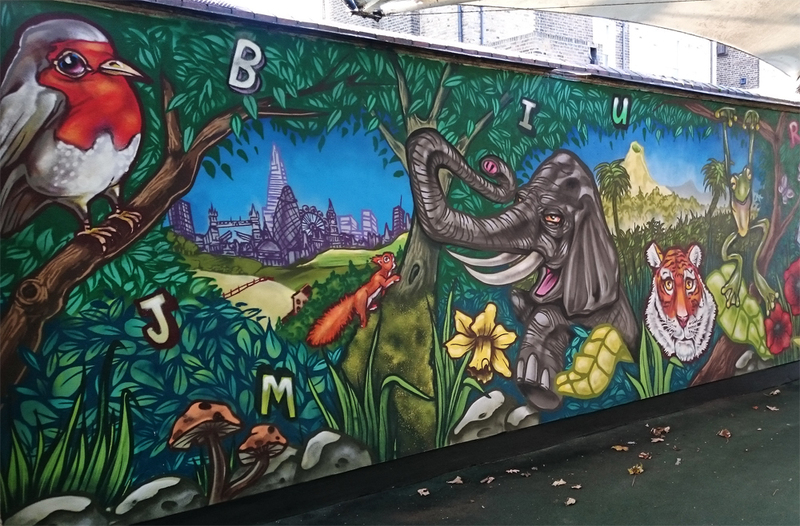 We worked with the year 5 and 6 pupils to create this wonderful outdoor mural at Floral Gardens Primary School in Hammersmith. 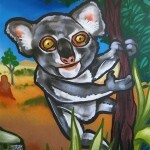 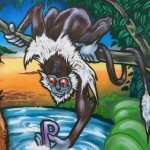 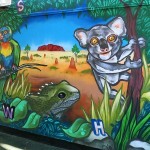 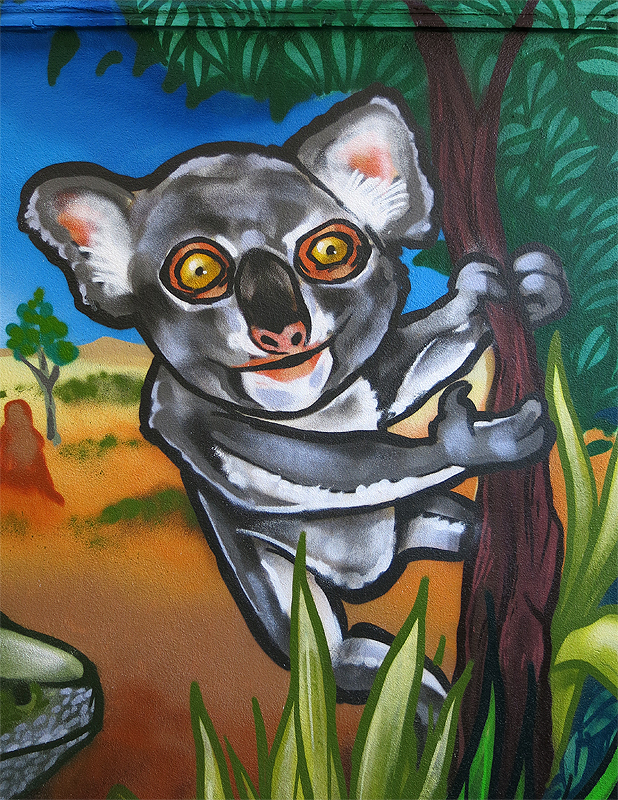 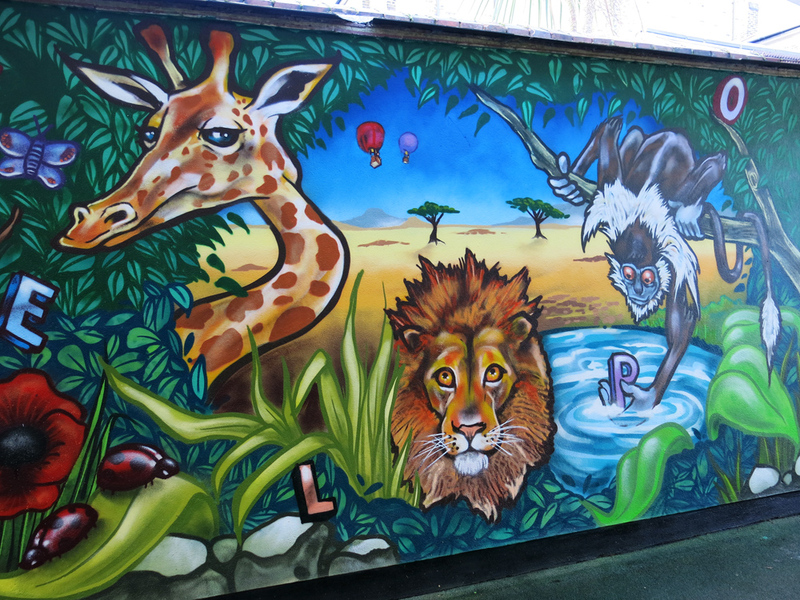 We created and interactive and educational tropical jungle themed wall which can be enjoyed by all. 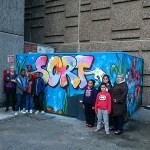 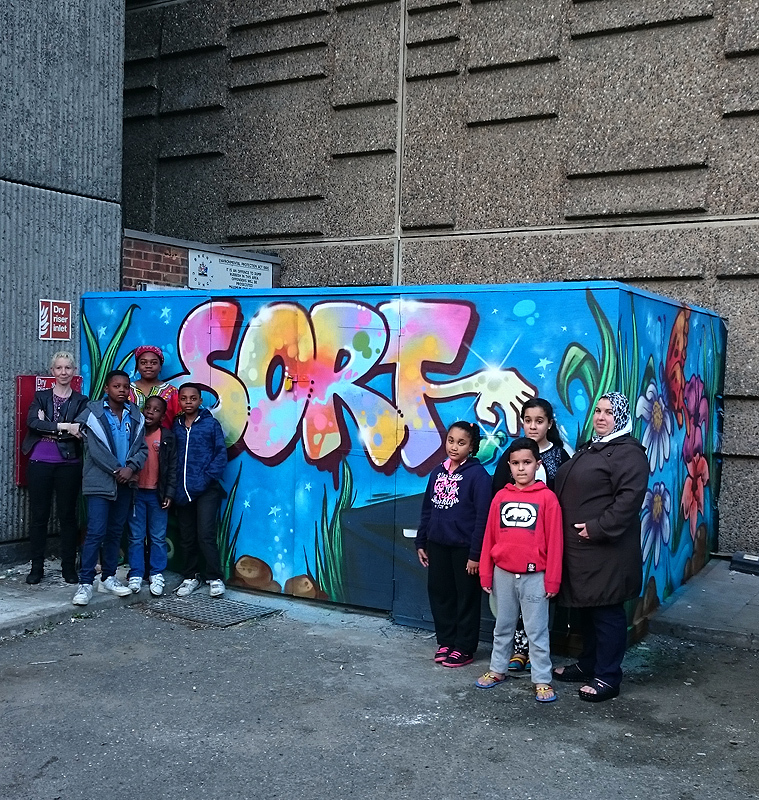 we have recently finished a great community involvment project about enviromental issues and how the community can do there part by recycling and using communial recycling bins correctly. 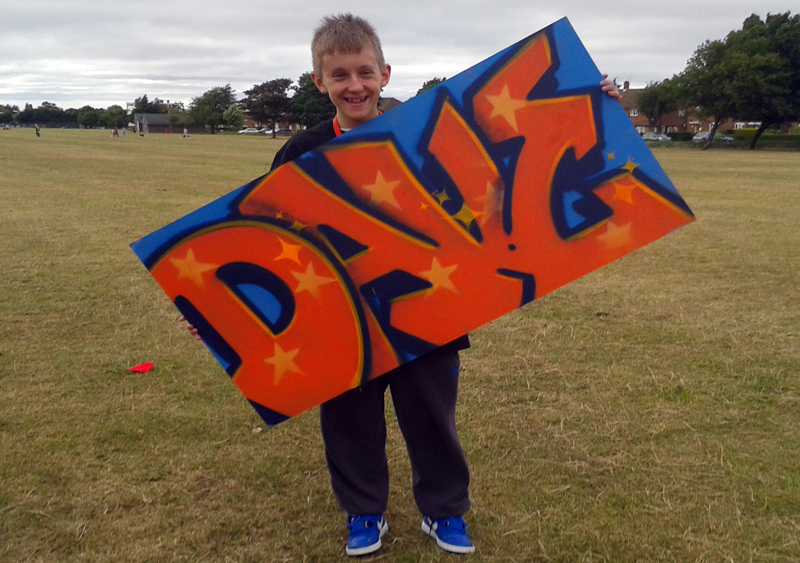 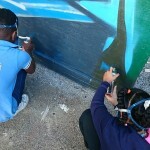 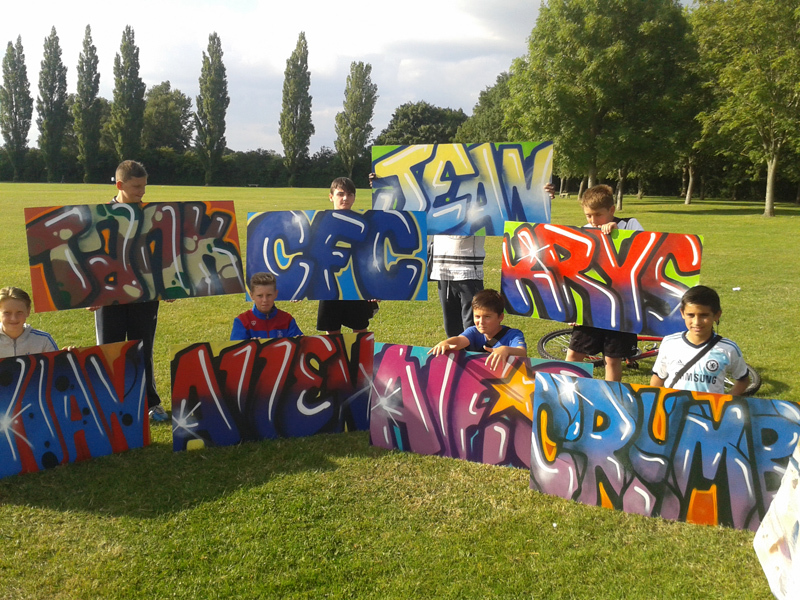 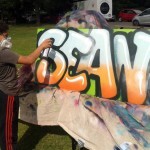 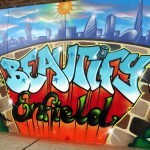 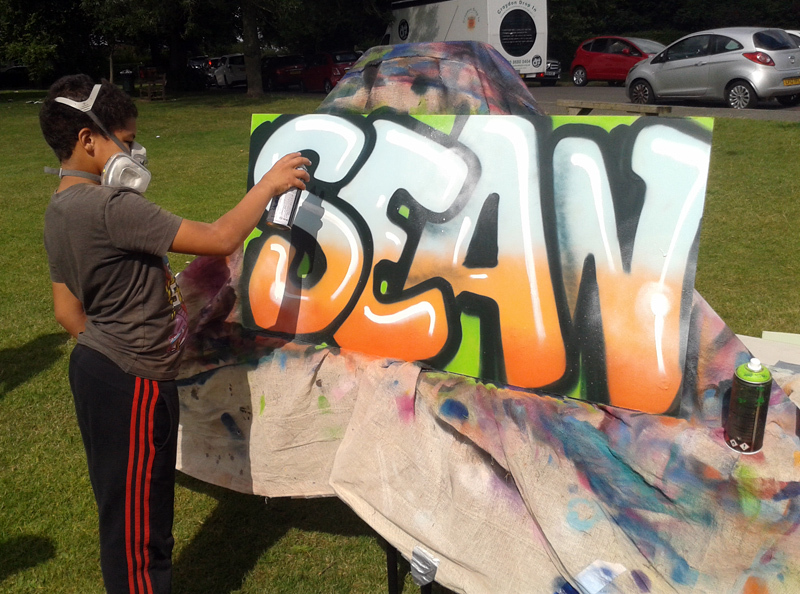 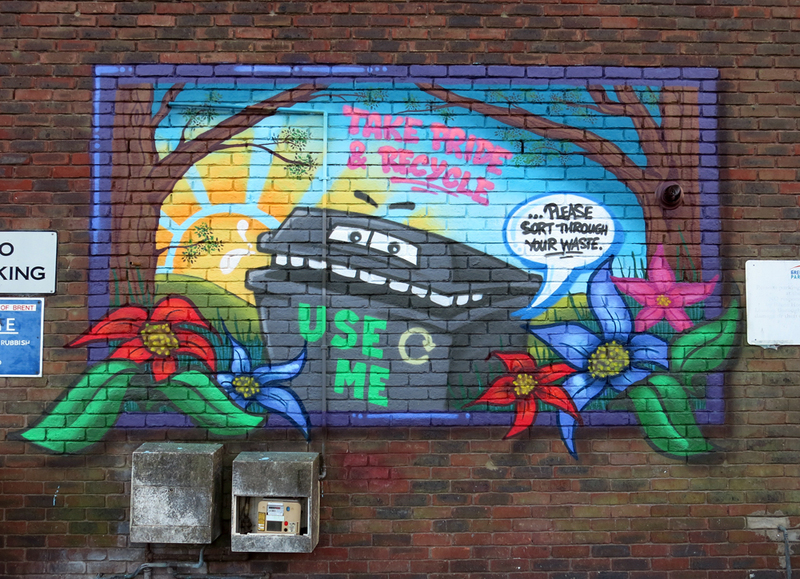 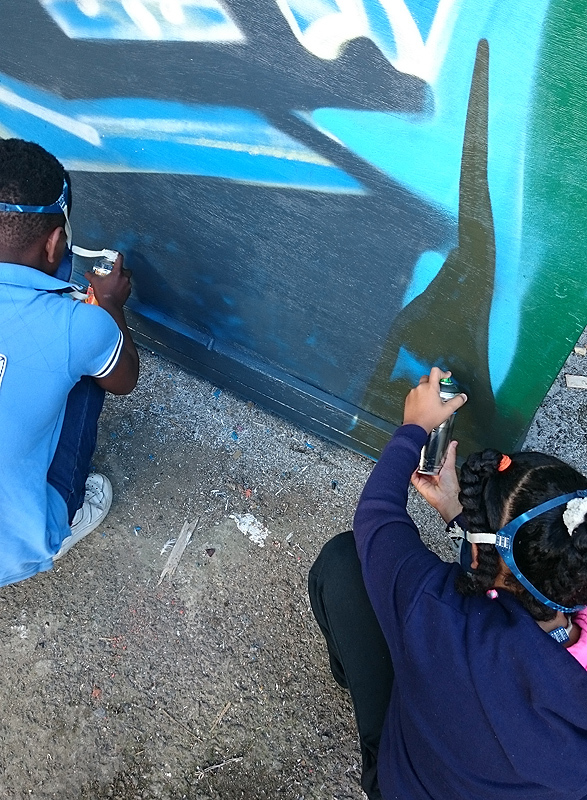 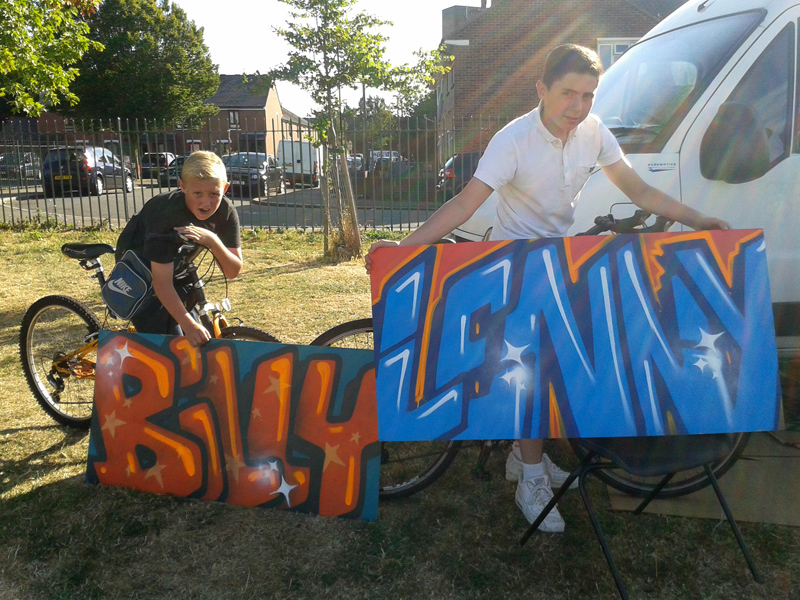 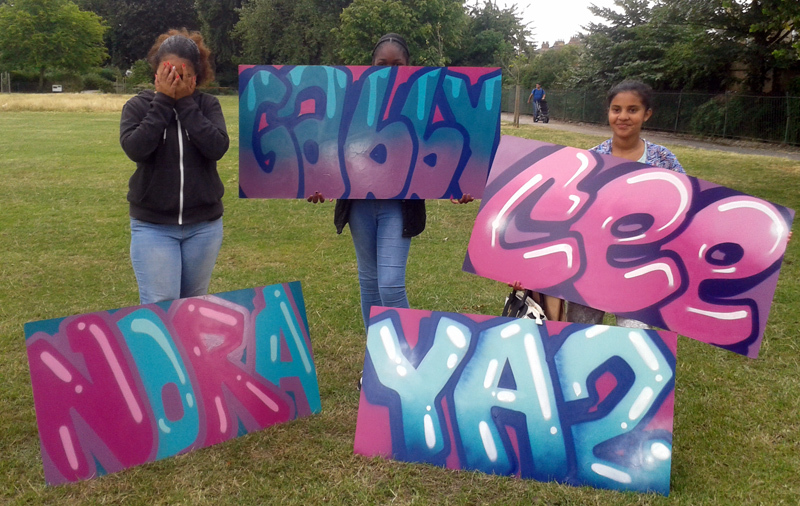 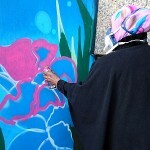 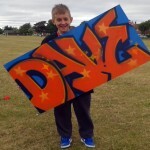 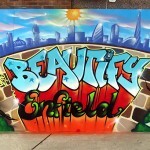 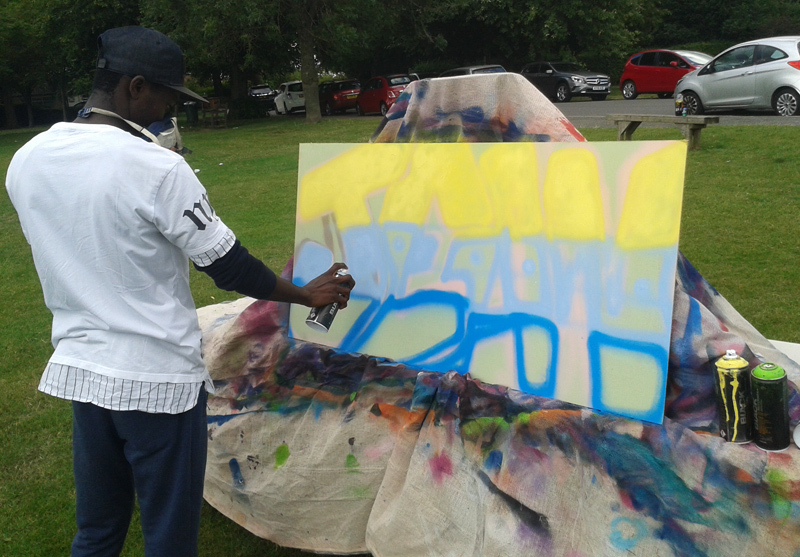 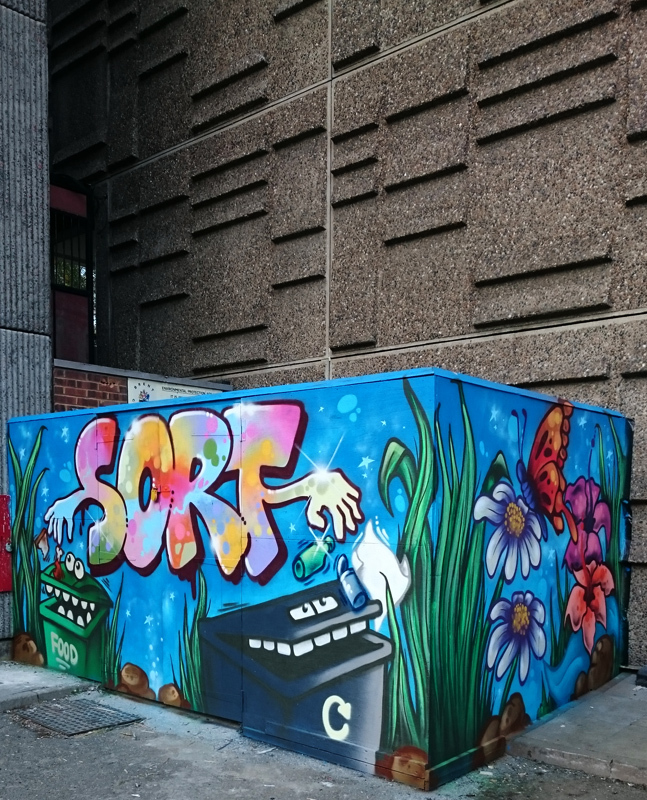 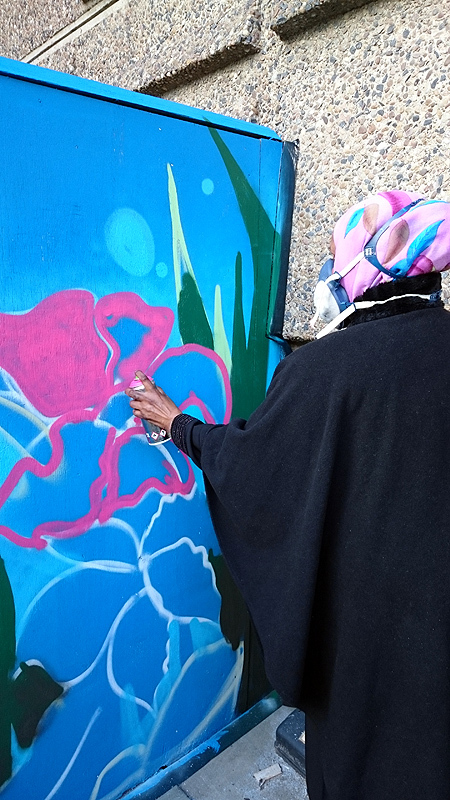 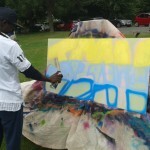 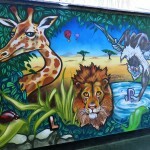 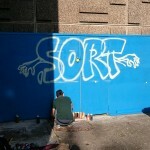 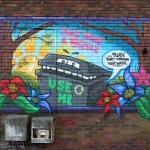 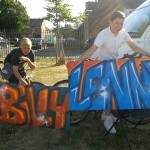 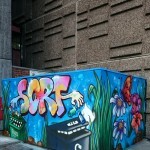 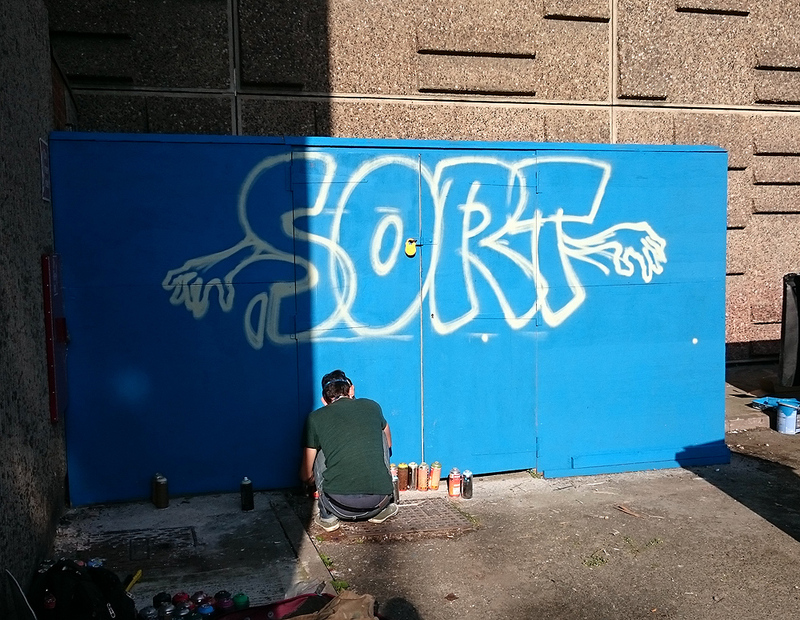 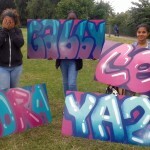 over the duration of 2 days our team helped the residents of Blake Court and Rosedene close trnsform there bin shed areas with some bright informational pieces of ART!. 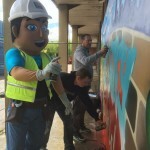 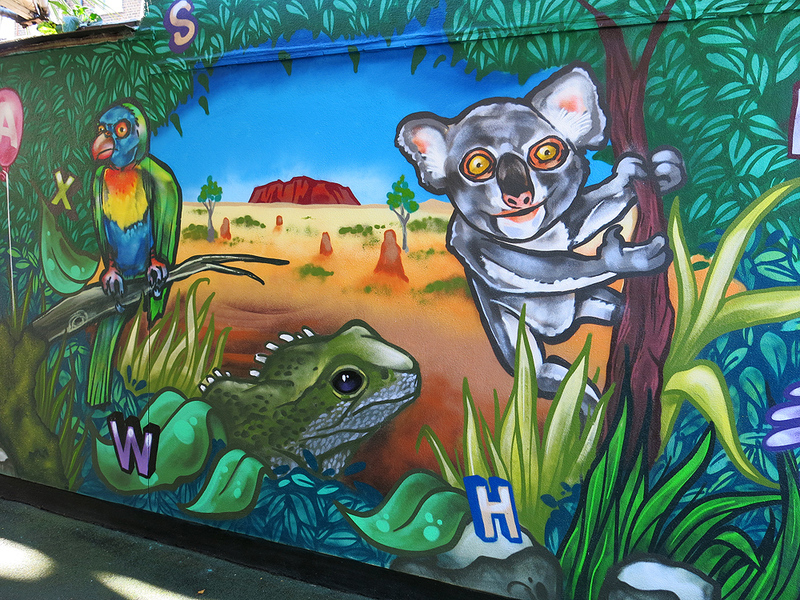 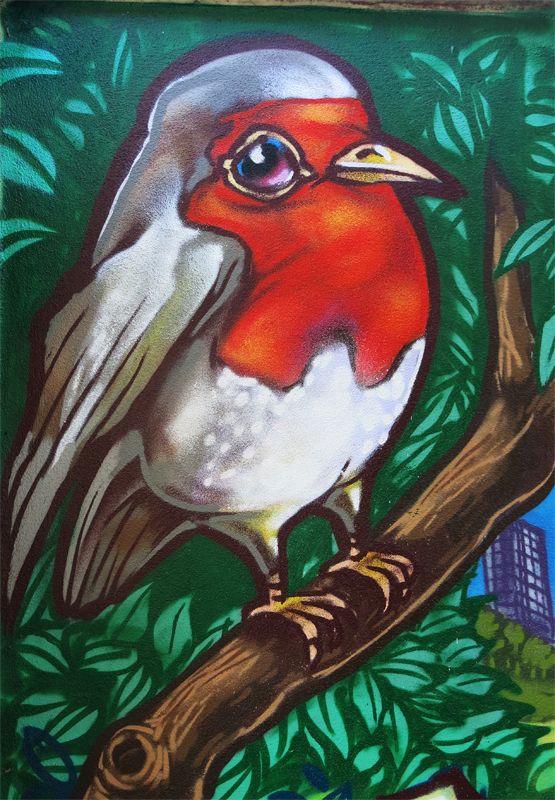 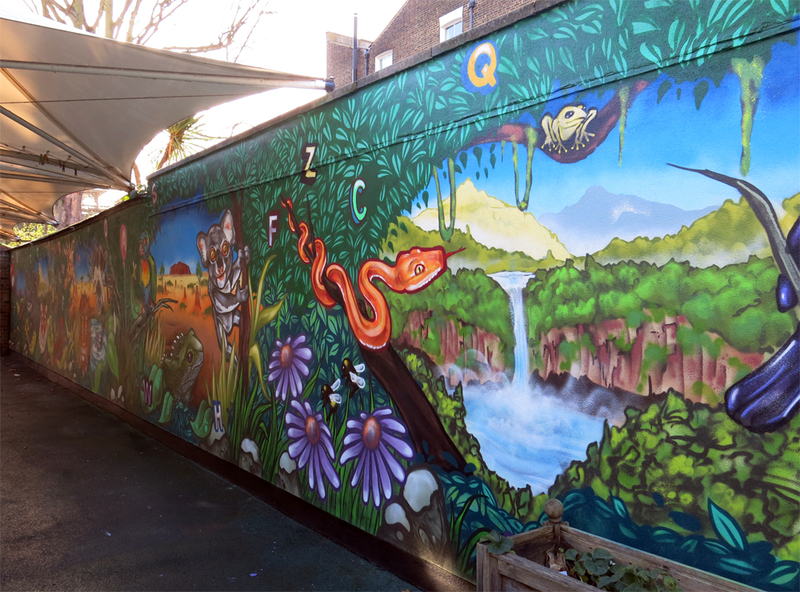 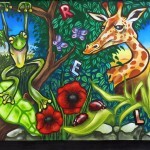 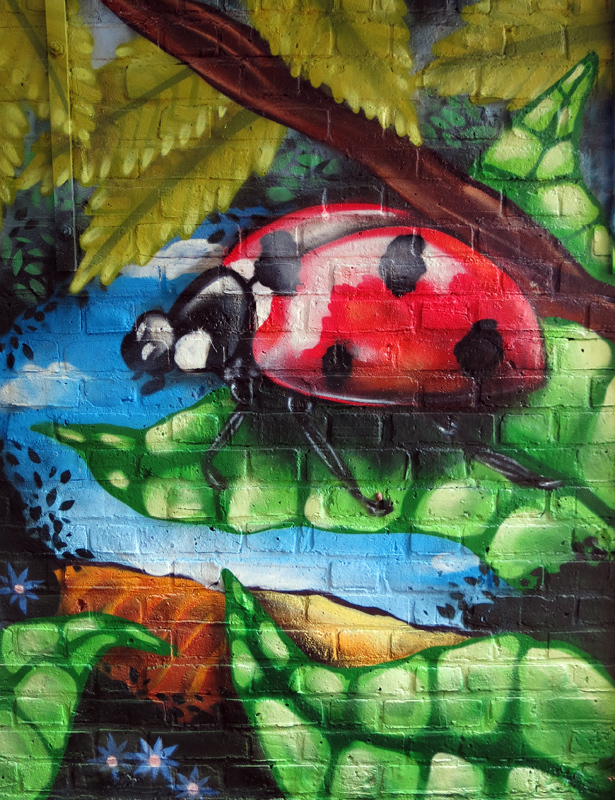 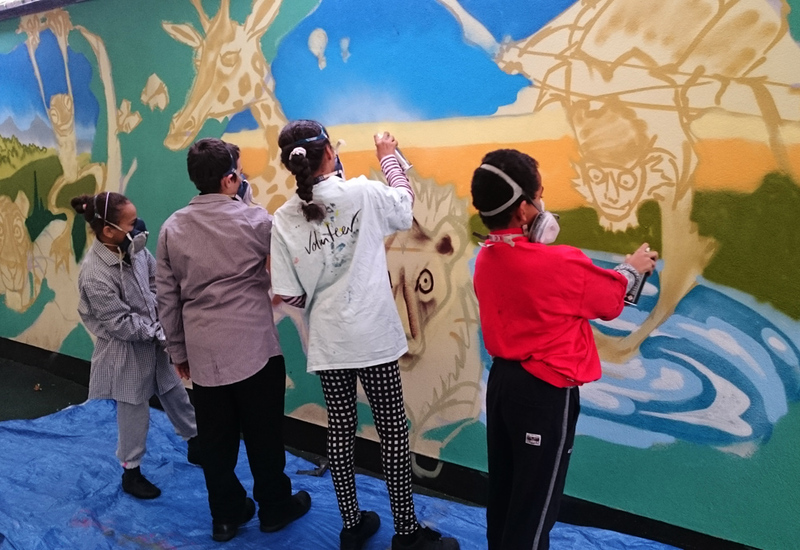 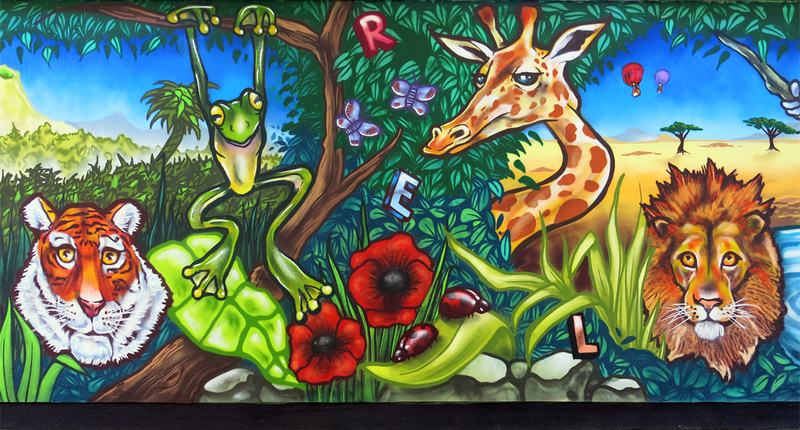 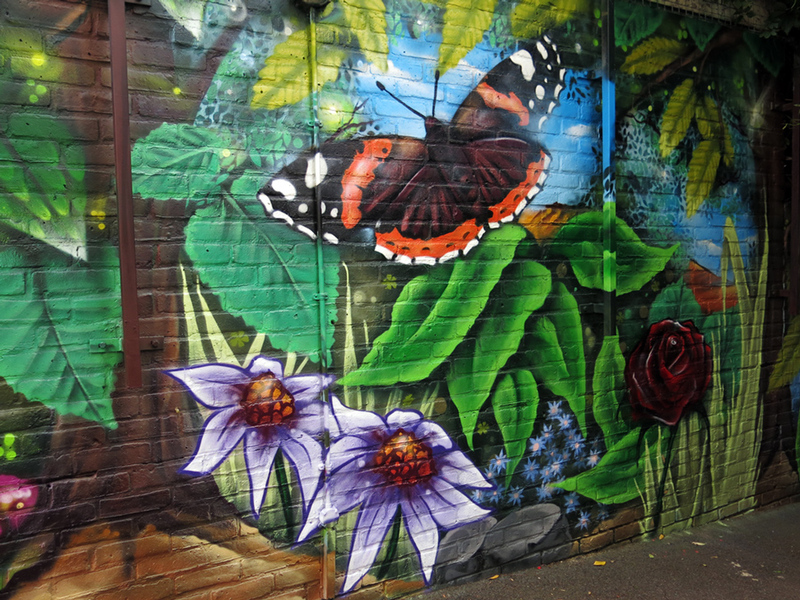 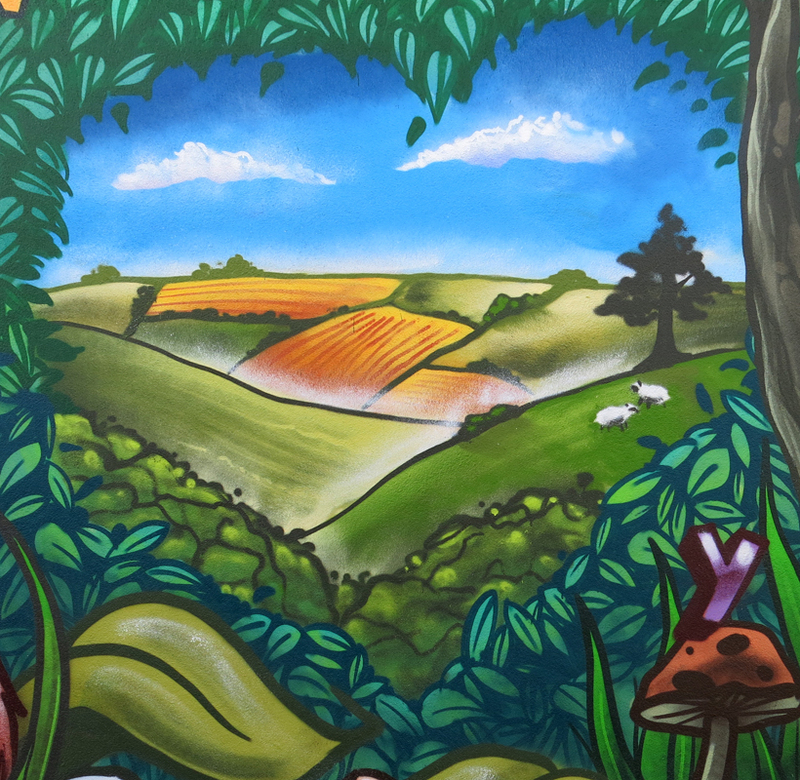 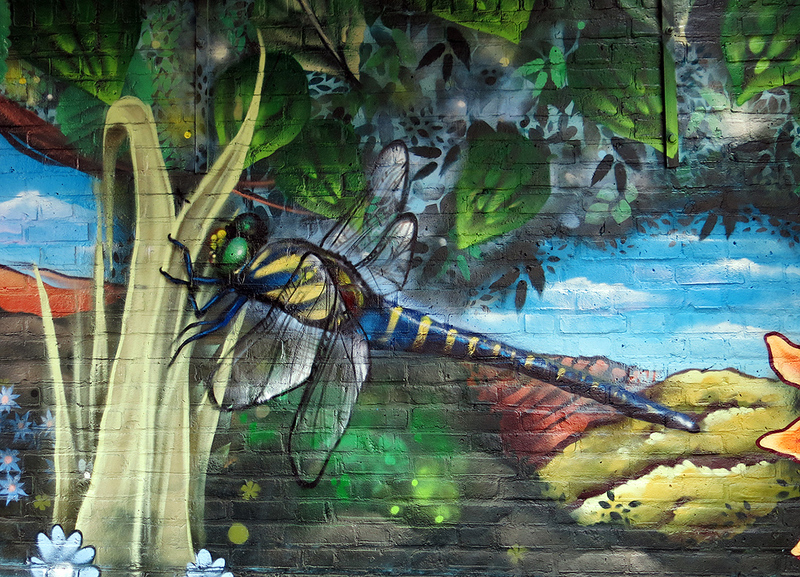 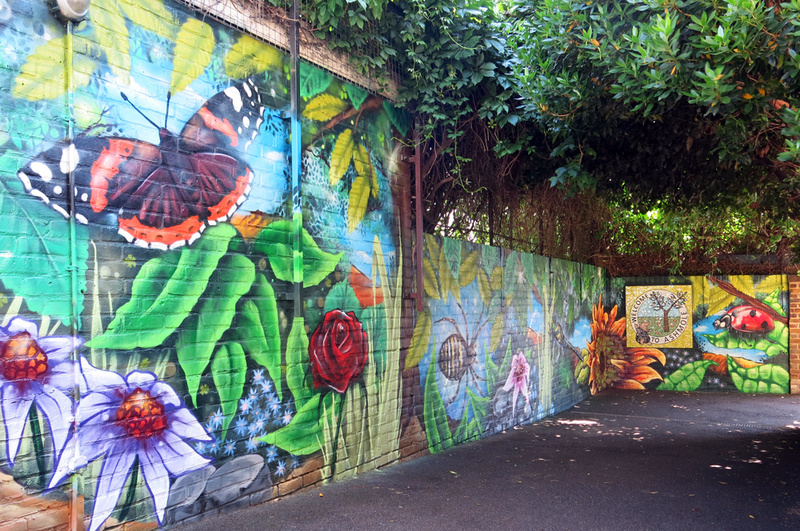 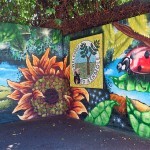 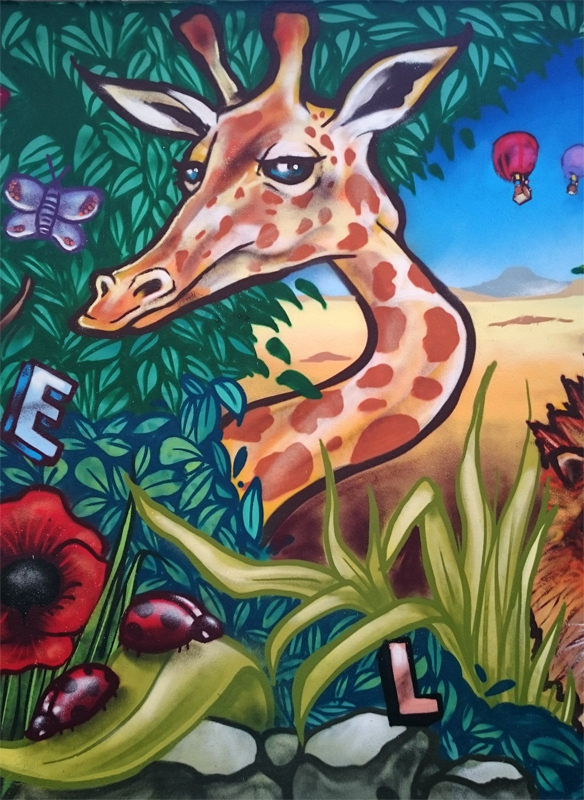 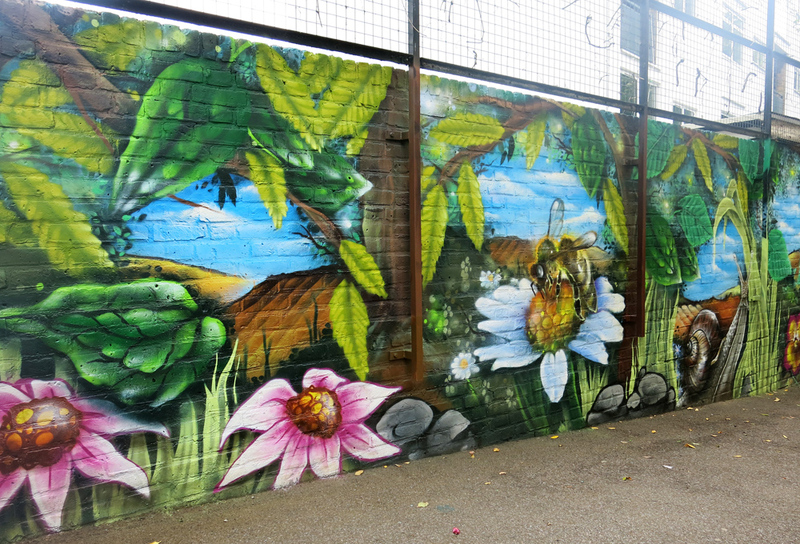 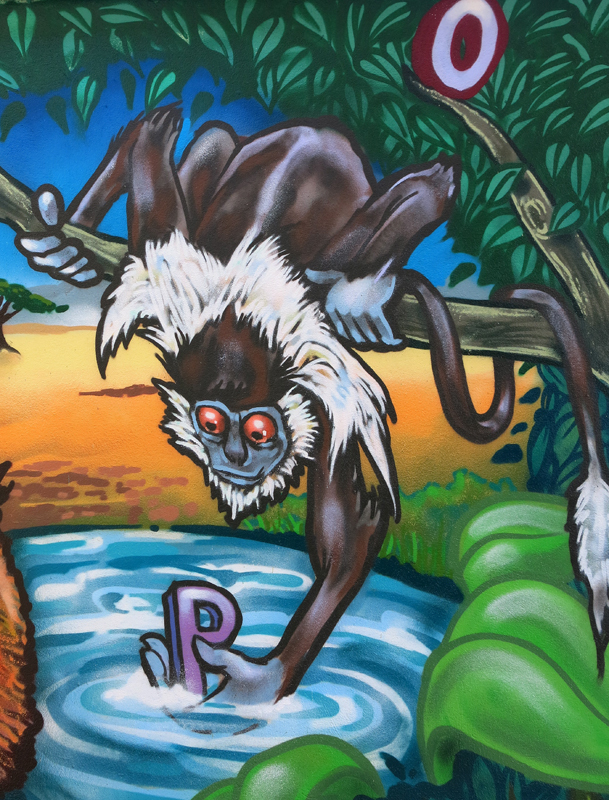 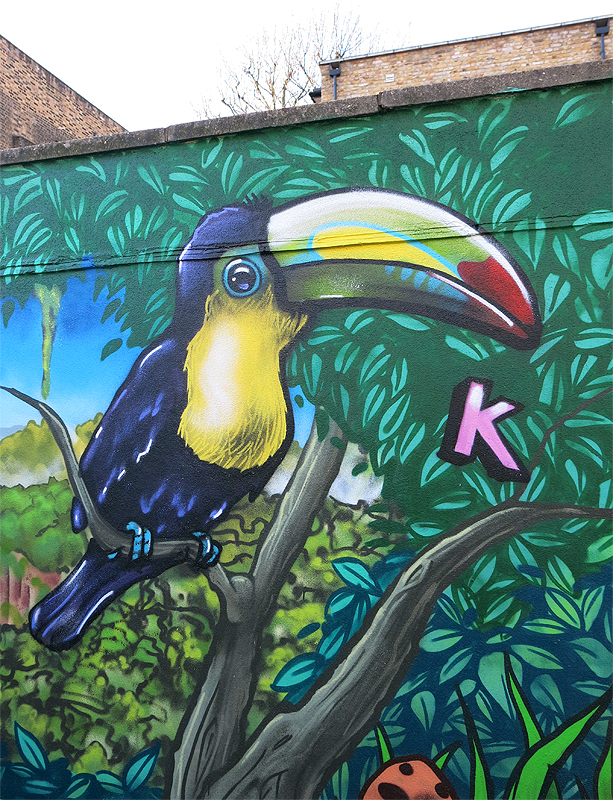 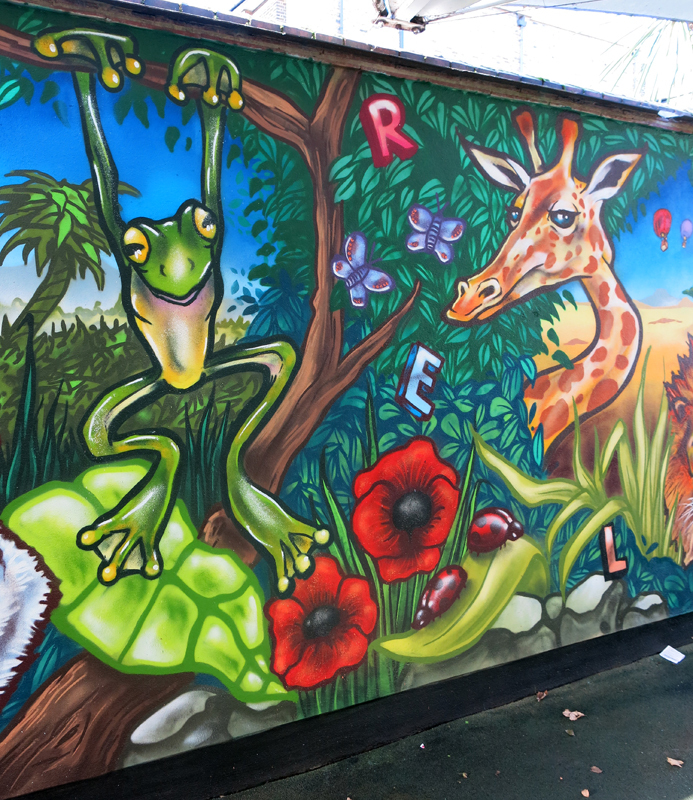 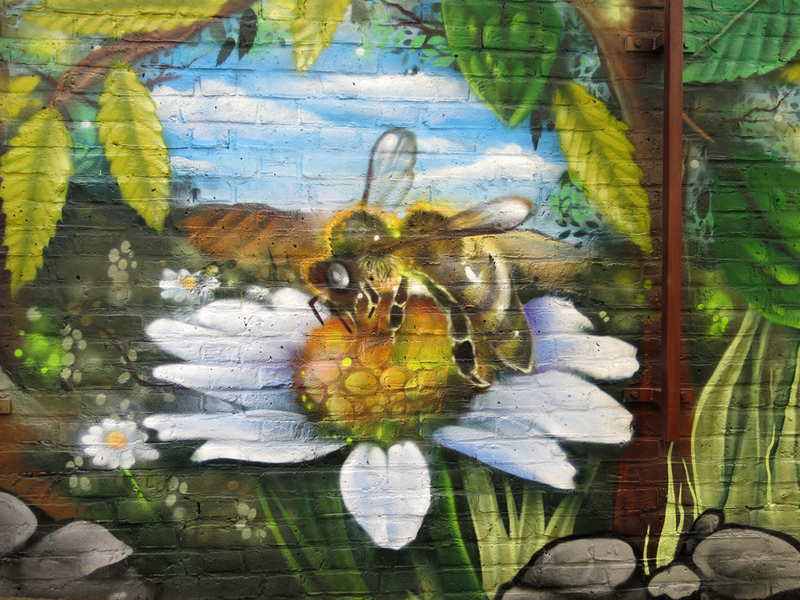 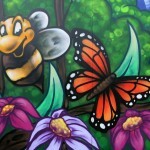 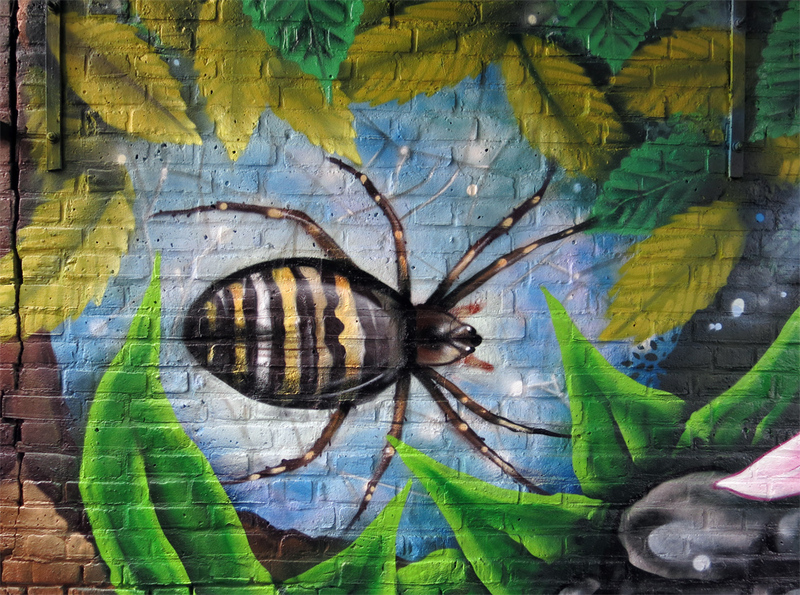 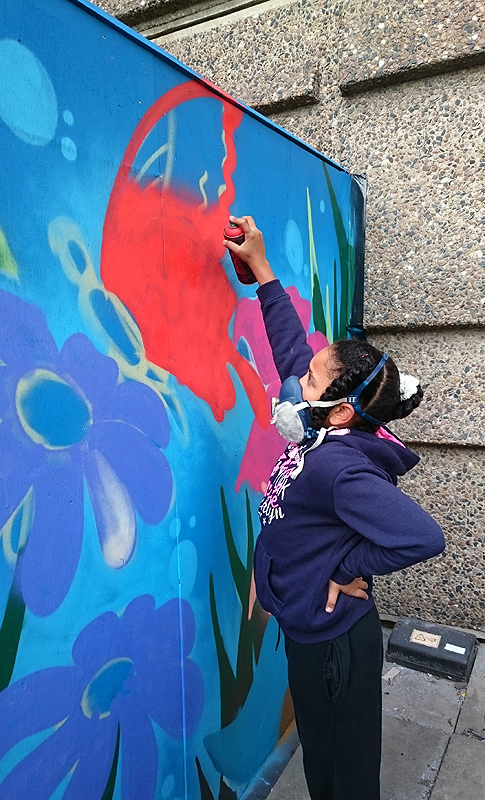 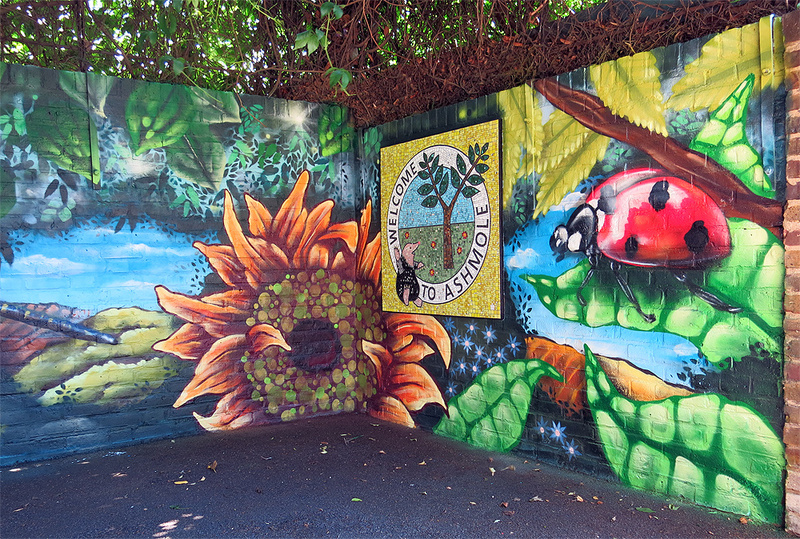 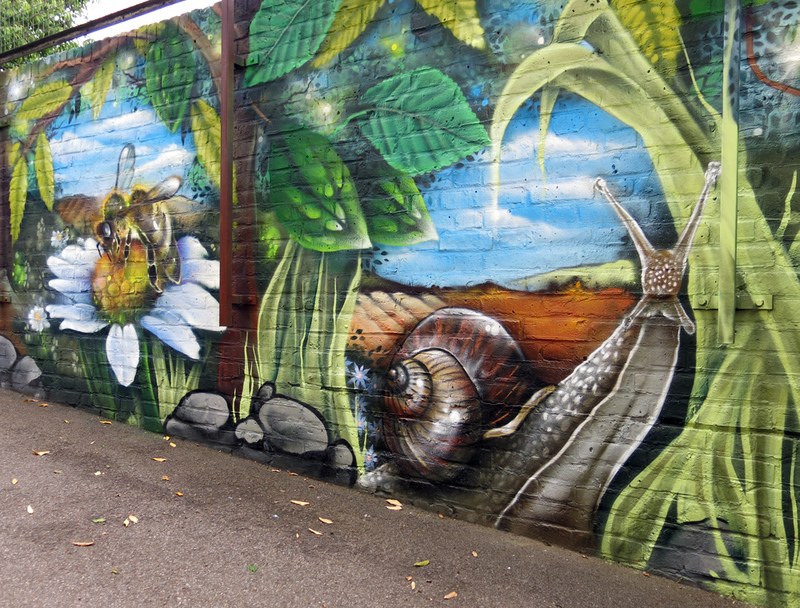 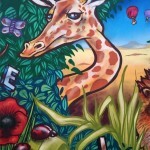 We have recently finished Ashmole Primary School mural, the Project was called mini beasts focusing on insects and creatures that live amongst the plants and flowers of their school gardens. 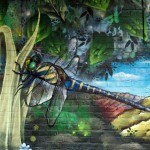 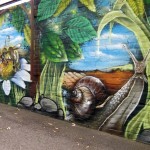 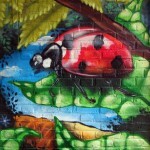 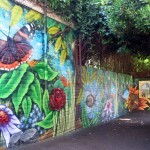 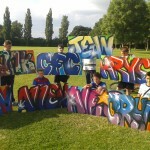 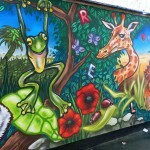 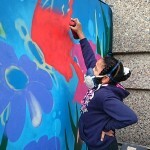 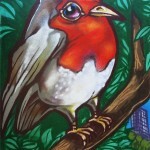 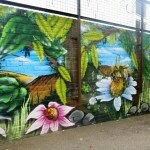 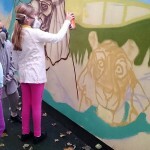 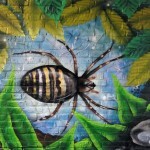 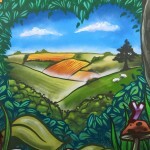 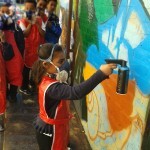 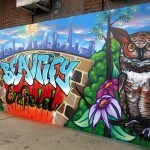 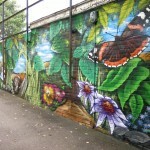 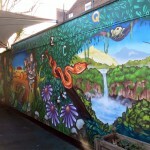 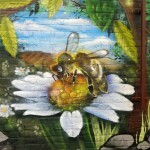 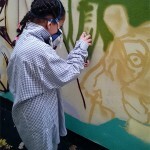 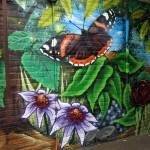 The mural was created by the whole school years 1-6 each class had a chosen mini beast which they drew and talked about. 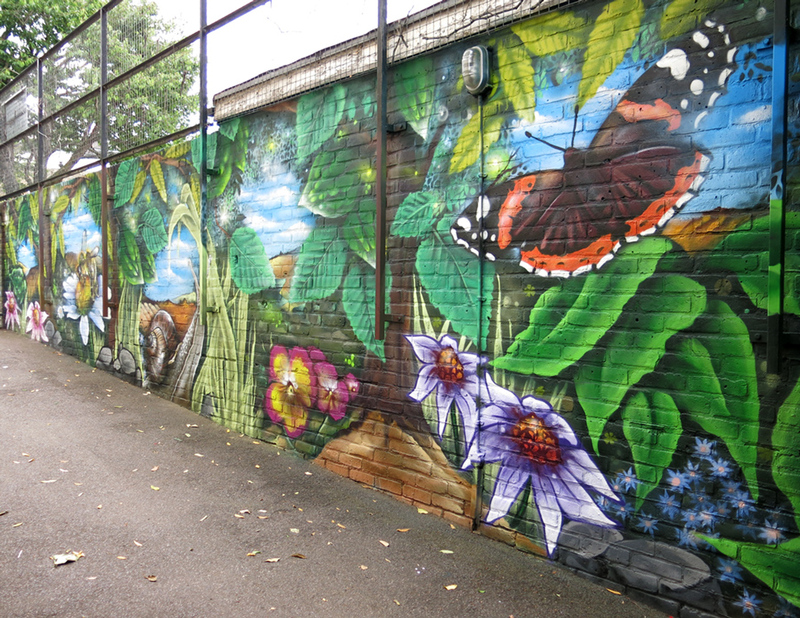 The project has been great success transforming a blank empty space into an inviting entrance to the school grounds.